Have you ever had an OMG Moment? 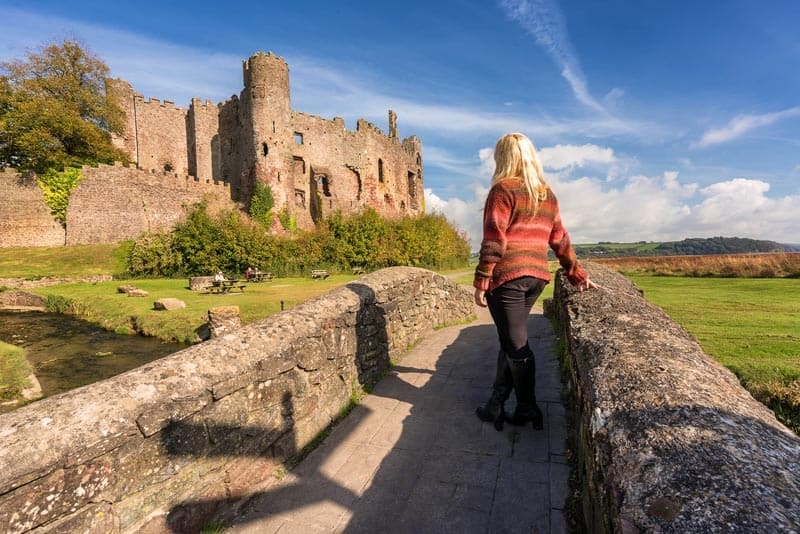 While visiting Wales last autumn, we had many and we want to share our most memorable photos of Wales with you! 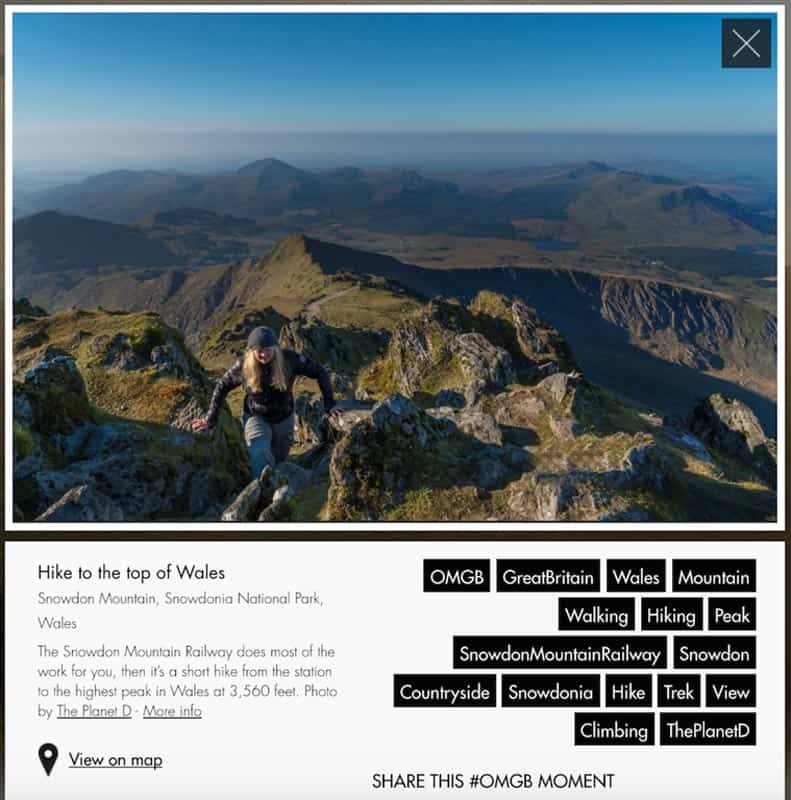 While visiting Wales, we said “Oh my” so many times and to celebrate the launch of #OMGB Home of Amazing moments, we thought we'd share our favourite OMGB moments from Wales in photos. You'll love the new website OMGB.com, it's filled with amazing moments from all around Great Britain including a few from yours truly. I can just show your pictures! But before we go on, we want you to have your own OMGB moment with a vacation in Britain! Read on….. 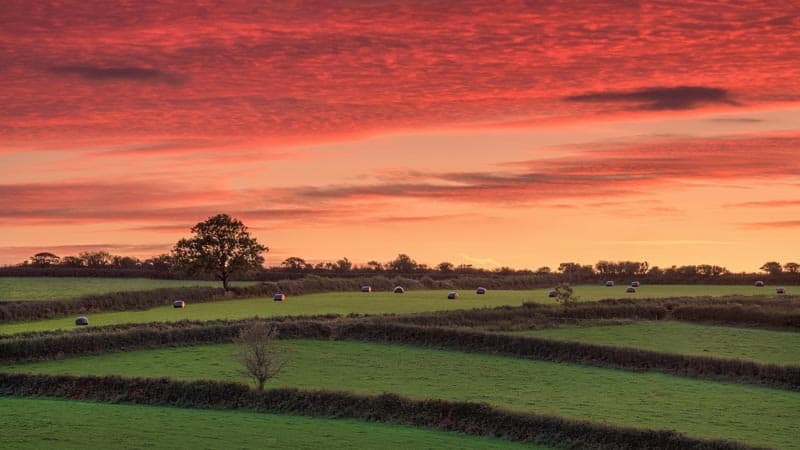 Enjoy our favourite moments from Wales in photos. Wales is filled with Castles and having Carreg Cennen Castle all to ourselves on our way to Llandeilo was a highlight. A wedding was going on that day and as we were walking down, the bride and groom were walking up. Priceless. Coasteering was invented in Wales and one of the first operations was Preseliventure. 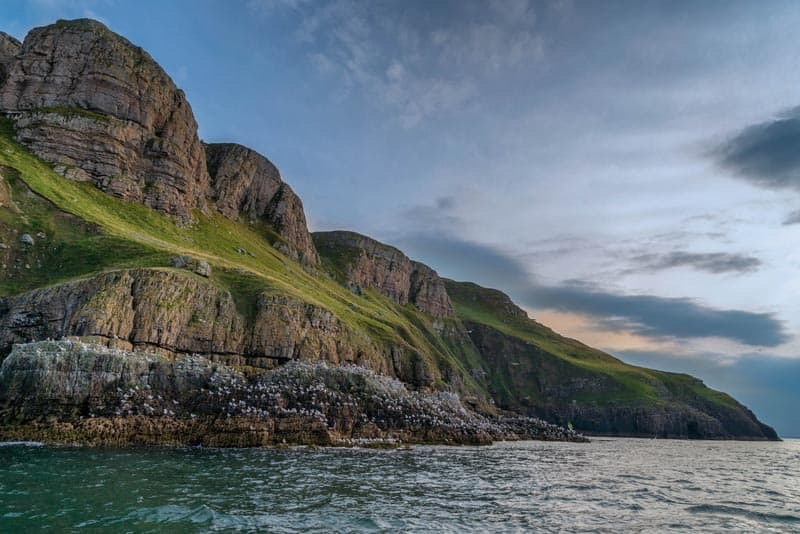 They are still going strong and if you want to explore the coast by traversing along the sea, jumping into the water and swimming into caves and waves, this is for you. See: Coasteering in Wales, it's not as scary as you think! Snowdon Mountain in Northern Wales is the highest mountain in Wales. You can hike up to the top in a few hours, but if you have limited time you can take the train. 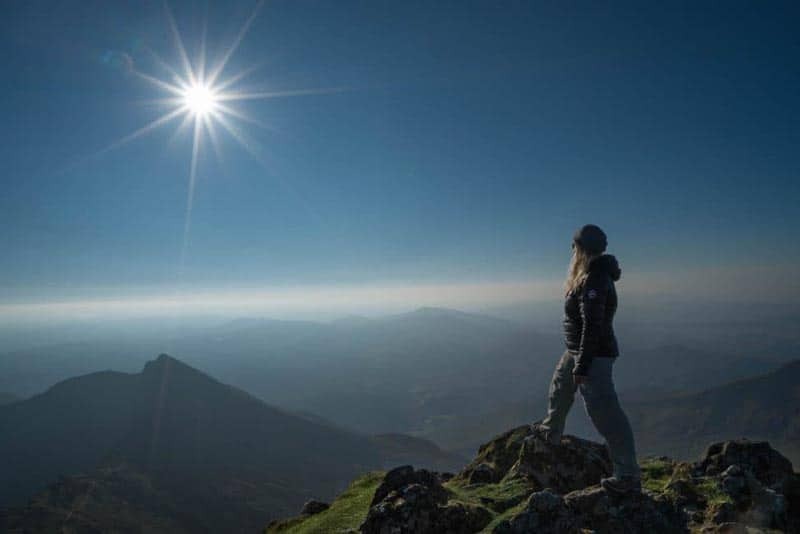 When you reach the top, you have the option to look around for about an hour, or you can take your time and hike down at your own pace. One of the most unique tourist attractions we've ever been to was Bounce Below in Blaenau Ffestiniog. 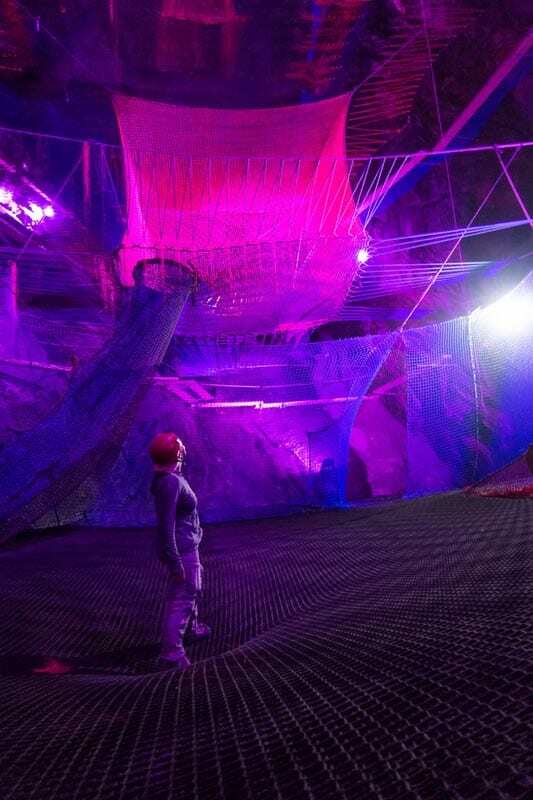 It is a giant underground cavern filled with trampolines, ziplines and a via feratta. This part of Wales is fast becoming the adventure capital of the country. See our video and read about Bounce Below at our post: The Ultimate Playground for the Kid in You! Portmeiron is a cute little village modelled after Riomaggiore in the Five Villages of Italy. There are hotels, shops and artists studios in the village located on a picturesque lake. We stayed at the Portmeiron Hotel which was like stepping back in time. 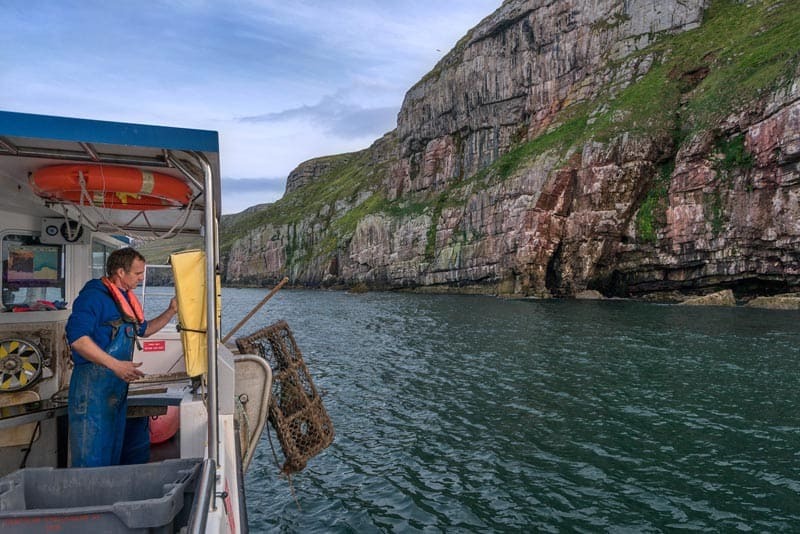 A unique safari experience is going out to catch lobster with North Wales Sea Fishing Trips. 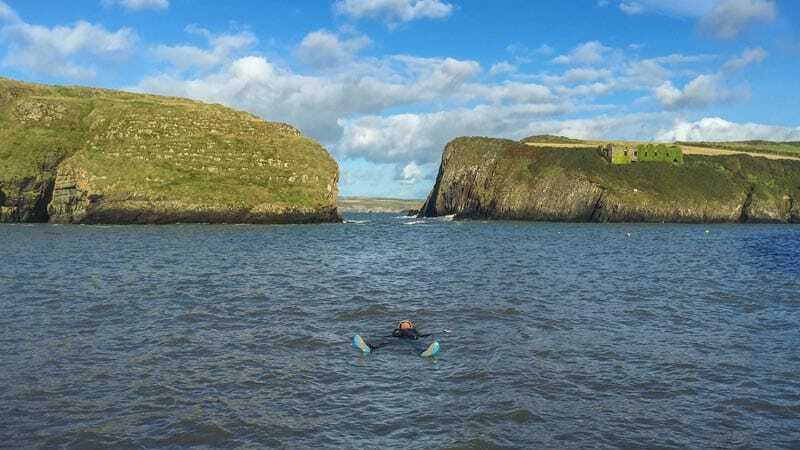 Wales has a beautiful coast and you must hike along the many coastal trails, get out on the water either kayaking or on a boat tour and admire its beauty. When travelling it's easy to get caught up in running from place to place, but taking the time to enjoy the stillness at sunrise or sunset can help to put your travels into perspective. When we sit quietly on the beach, we realize just how beautiful this world is and how lucky we are to be able to explore it. 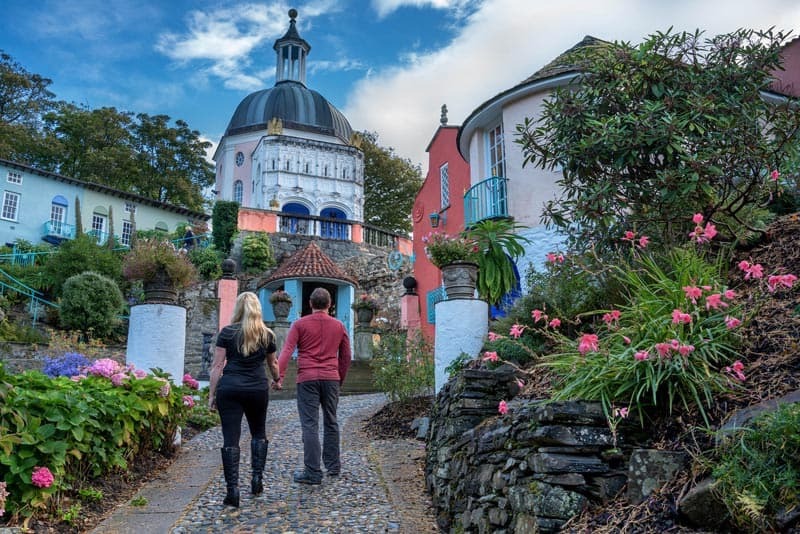 Going for a walk through any village in Wales will probably lead you to a castle somewhere. 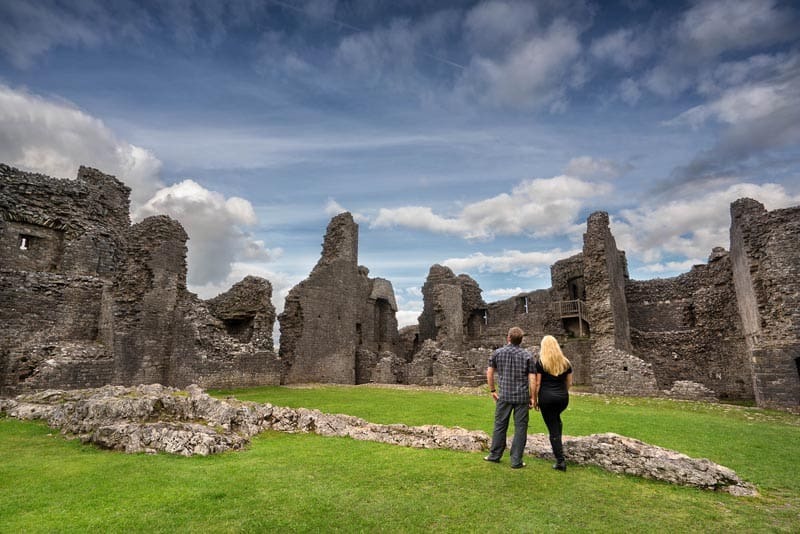 If you want your fill of castles, Wales is the place to be! How could we not end with a sunset? One of the glorious things about travel is the opportunity to see the sun set from a different part of the world. The skies were on fire during our time in Wales and this evening was a beautiful moment snapped from our hotel room window. One of our favourite parts of travelling is remembering moments. It's the little moments that often stand out. Sure the adventures make for great stories, but it's often the quiet moments that we remember most. Travel lets you connect to each other, make new friends and find peace and stillness within yourself. It's about finding moments that will occupy your memory forever and that is what Wales will do for us. We'll remember each moment there for the rest of our lives. 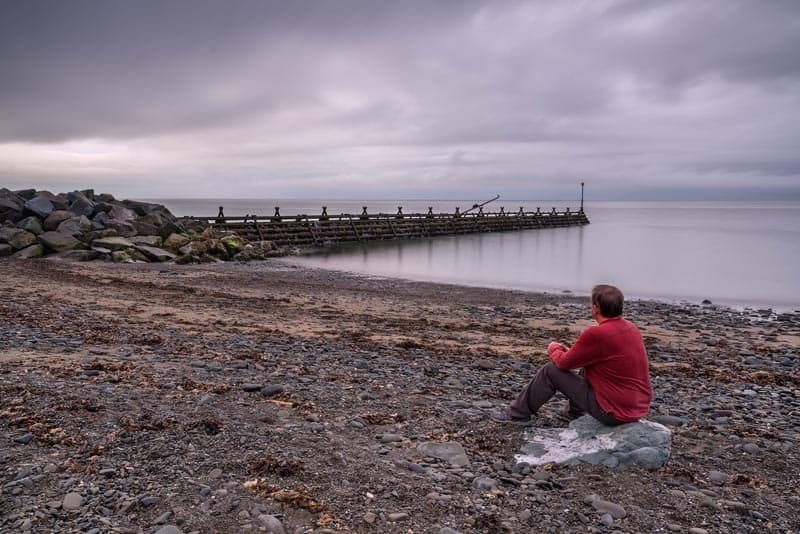 16 Responses to "Our Most Memorable Moments from Wales in Photos"
Wow Amazing pictures!! Loved all your pictures especially last sunset picture was Stunning!! 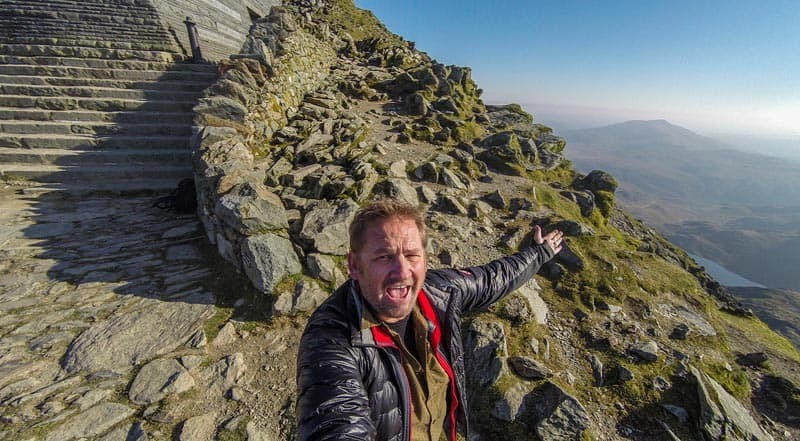 Those are some amazing photos of Wales! 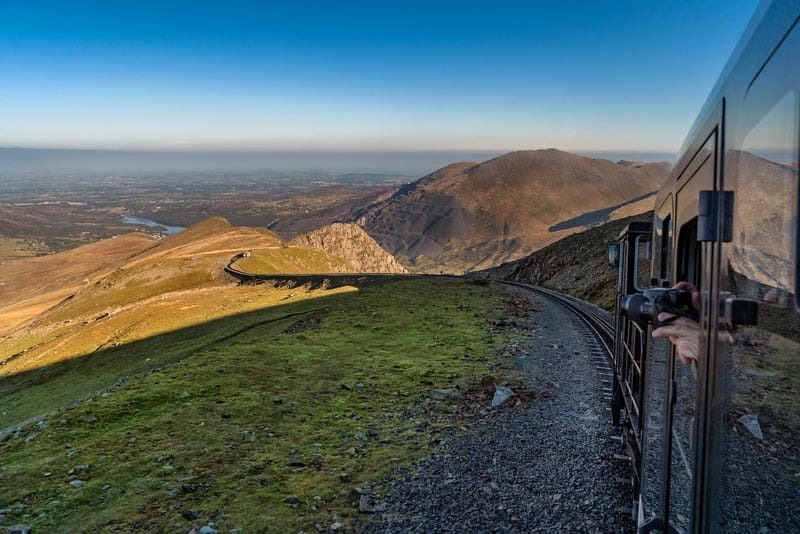 Especially of the train of Snowdonia – it stunning how the train moves through the mountains. The great pictures say the tour was fantastic. 🙂 Thanks for this posting. Love all the pictures especially when you and Dave are together in a shot. Portmeiron is one of my all time favourite places and the hotel just adds the finishing touch! It is a really cool village and you are right, the hotel is the icing on the cake. It feels like you have stepped back in time to somewhere grand. Wales is so dramatic, I love the landscape. Thank-you for featuring it, it’s such an undervalues and overlooked destination! Thanks Katie, you said it perfectly, Wales is dramatic. I have a feeling it won’t be overlooked for long. More and more people are starting to realize its beauty and adventure. Wow, that last sunset photo is breathtaking. Thanks so much. We were quite happy with how it turned out. Cheers! Gorgeous and inspiring photos. I am ready to go!